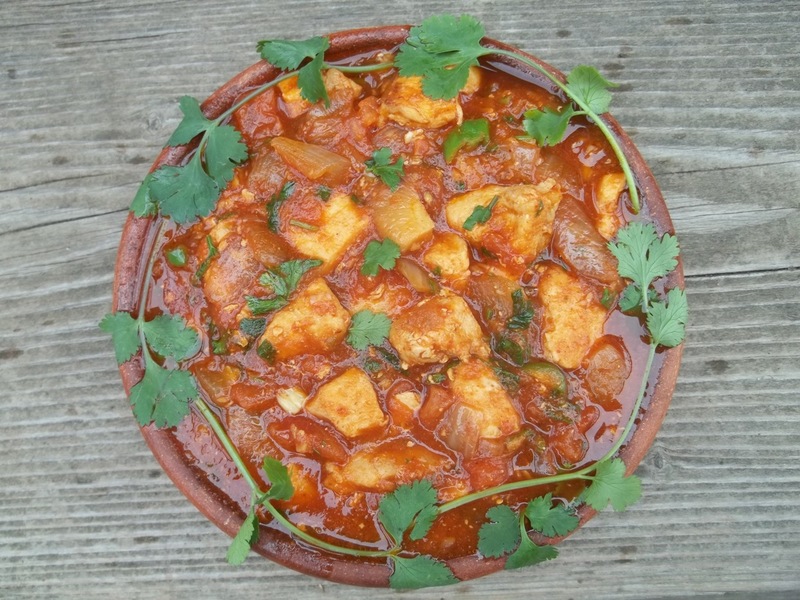 In this recipe we will show how to make a traditional Georgian dish called Chakhokhbili (Georgian: ჩახოხბილი). 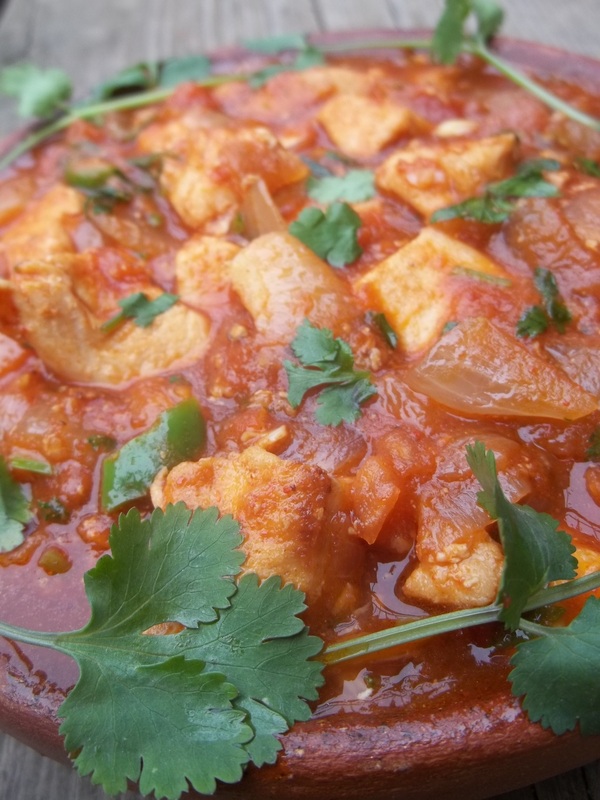 The name comes from the Georgian word “khokhobi” which means “pheasant,” but nowadays it is most usually made with chicken. Traditionally, a whole chicken, cut into pieces with the skin left on, is used but we made ours with chicken breasts. 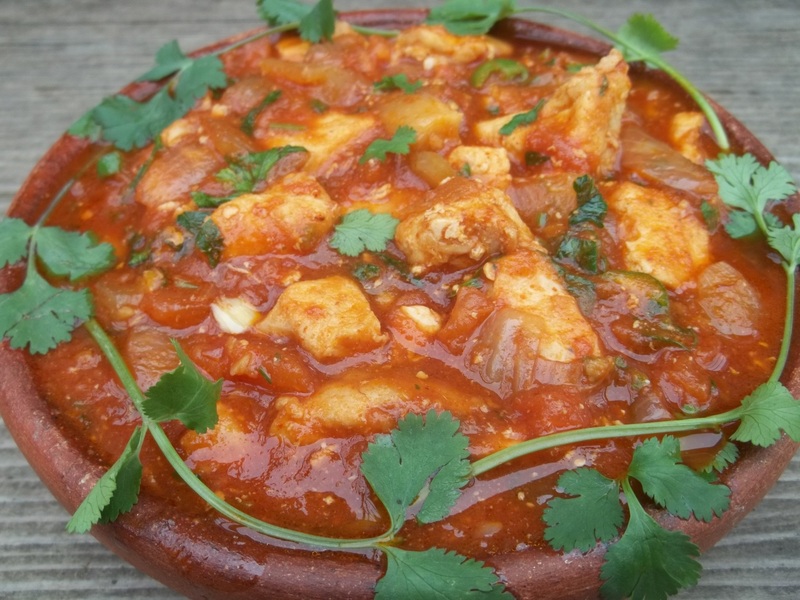 Ingredients: 1 kilo of chicken breasts, 3 large white onions, 3 large juicy tomatoes, salt (amount depenednet upon personal preference), 20 grams of fresh green coriander, 20 grams of fresh parsley, 1 hot green pepper, 50 ml of white wine vinegar, 6 tbs of oil, 4-5 bay leaves, 4 cloves of garlic and 1 tbs of red pepper. 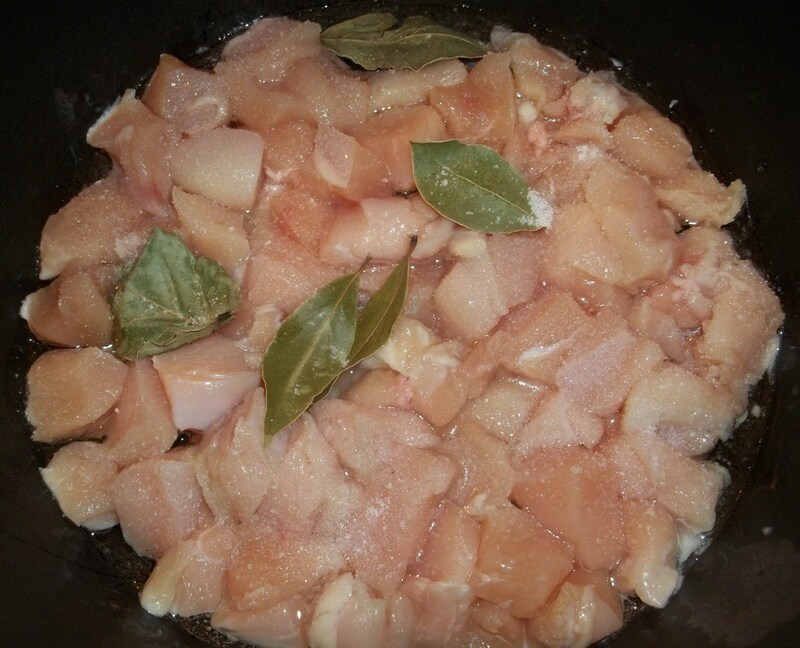 Preparation: Cut the chicken and add to a pan with the bay leaves. Add 50 ml of white wine vinegar and 50 ml of water and boil until the vinegar and water have disappeared (stirring occasionally). 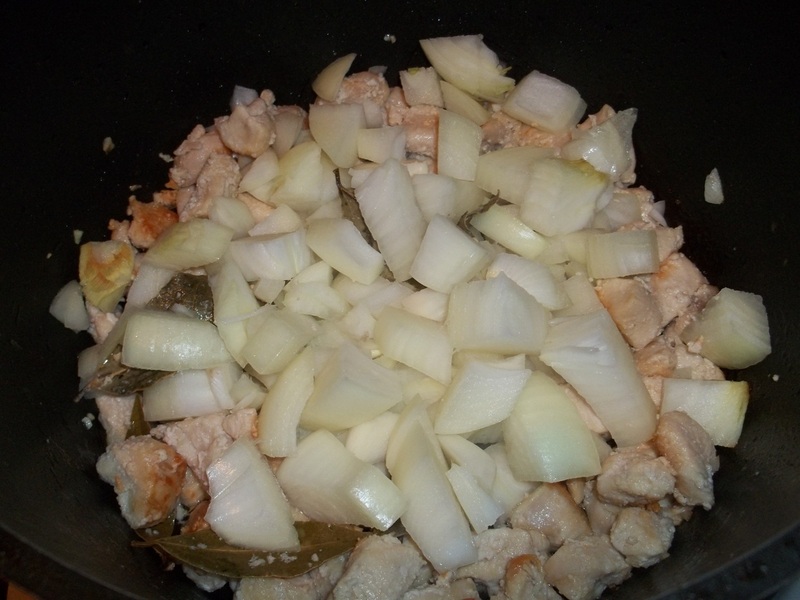 As soon as the vinegar and water have disappeared, add 6 tbs of oil and chopped onions and fry until the onions become a little brown. Remove skins from the tomatoes and chop. 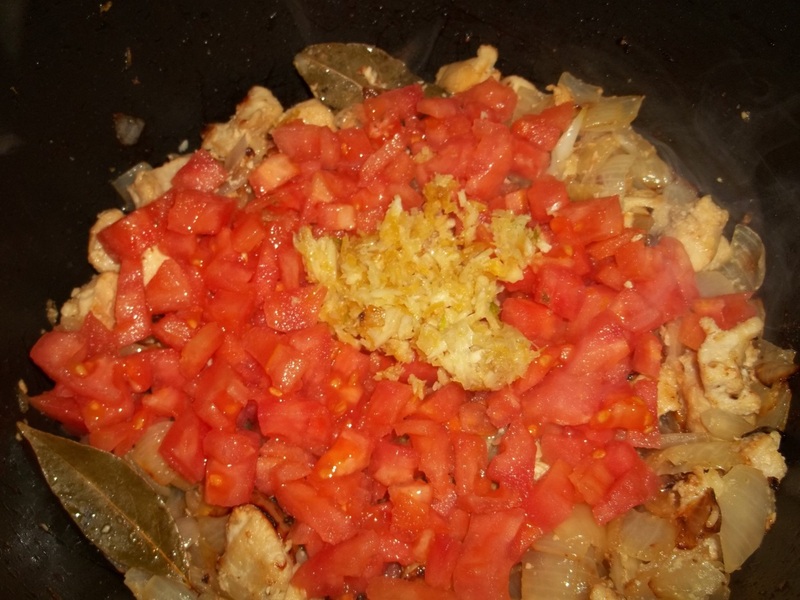 Squash the garlic and add, together with the tomatoes, to the pan. Cook for 7-8 minutes, stirring frequently. 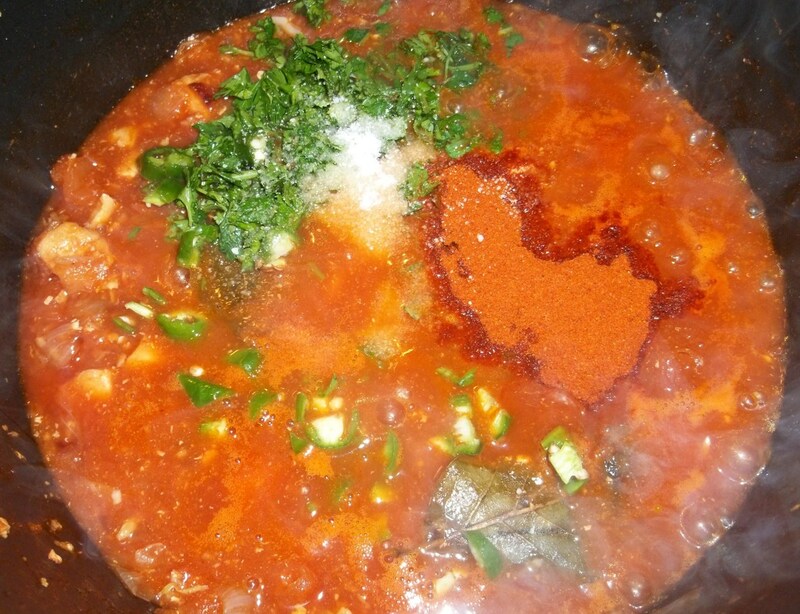 Finely chop the coriander and the parsley. Chop the hot green pepper. 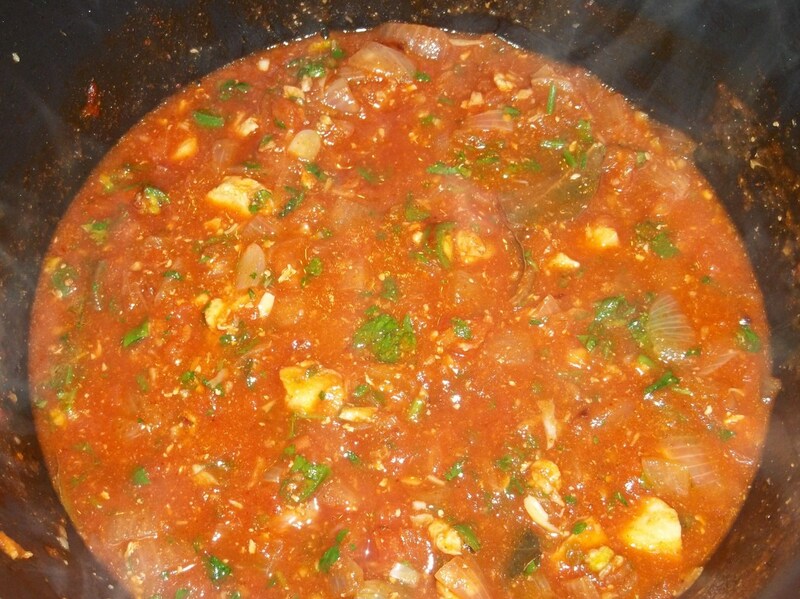 Add to the pan, together with salt (amount dependent upon personal preference) and red pepper. Serving: Remove bay leaves and serve hot. We garnished with some extra coriander.